To further immerse itself in that community, MedNet increased its involvement with the Medical Alley Association, a long-standing collection of Minnesota's leaders in healthcare technology and innovation. MedNet is a member of the organization, and this year, is sponsoring three of Medical Alley's industry-specific meetings; one in May, another in August, and a third scheduled for mid-October. "As a healthcare technology company specializing in solutions for the global life sciences community, we’ve been a member of Medical Alley for several years," says Brian Sweeney, senior business development director at MedNet. "Early stage companies in this industry are often on the forefront of innovation. We wanted to get more involved to both learn from these organizations and also collaborate with them to help solve their challenges around clinical trials." The Small Business Leadership Forums are members-only events for startup and growth stage companies in medical devices, diagnostics, digital health, and biopharma. On May 17th, MedNet sponsored a forum, titled "Right People, Right Seat," in St. Louis Park. The event focused on critical issues for all startups and their people. The panel discussion included topics like "recruiting for startups, contractor versus employee, and compensation when you are broke or near broke." MedNet hosted the August 1st event on Scrappy Innovation at its national headquarters in Minnetonka, MN. Approximately 30 attendees represented a variety of member organizations, including Marari, MicroOptx Medical, Sun Biopharma, University of St. Thomas, Nextern, Amphora, and Inspire Medical. The panel opened with a conversation about startup companies and how they could get their medical device to market earlier. That led to questions about how to manufacture their device. And eventually, turned into a conversation about raising money and financing trials. "They want to talk about fundraising — who to hire, when to hire, how to save money and stretch dollars," Brian says. "A lot of great ideas in the healthcare industry don't come to fruition because of funding." 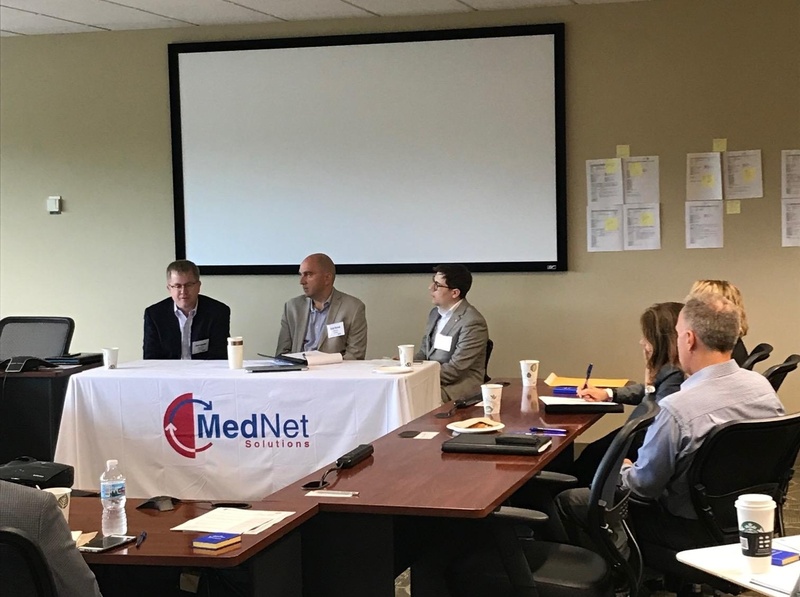 Brian and MedNet Solutions co-founder Al Sherwood were able to sit down with several attendees to discuss their specific situations, listen, learn, and provide guidance. As an EDC vendor with a variety of options to help customers complete studies on time and on budget, it was beneficial to help attendees identify solutions that fit their needs and budget. "I think hosting this particular meeting was helpful for the startup companies, as well as MedNet to hear the issues being faced in today’s environment firsthand," Brian says. "We sat and listened to numerous startup companies discuss issues with getting their product to market. It confirmed our philosophy of having an affordable, flexible and easy-to-use system." iMedNet also has several tools that help sponsors track sites' progress and ensure the investigators are following the process in a timely manner. "Tracking site progress can often be challenging for early-stage companies, due to lack of time, resources or both," said Brian. "Yet, it’s critical you keep the study moving. You have to keep track of that, and our tools allow for real-time reporting on the study’s progress." The final Small Business Leadership Forum, titled "The Game Has Changed – Startup Business Model Today" is Oct. 17 at The Medical Alley Association in Golden Valley. To learn more, click here.